Despite initial hesitance from both public and private spheres, vaporizers and electronic cigarettes have been on the rise for their ability to deliver nicotine without the toxins commonly known to cause lung cancer in cigarettes. The Centers for Disease Prevention and Control (CDC) recommend vaporizers as a way for adult smokers to combat cigarette usage, but in recent years, vaping has taken on a culture and recreational activity all its own. If you’re making the switch from cigarettes to vaping, there are many aspects of vaporizers that will need to be learned. Unfortunately, it’s not as simple as purchasing a cigarette and lighting up. However, if you’re interested in the possible health benefits of vaping over smoking, here are five things you need to know before making that switch. Vaporizers are complex devices that will require maintenance and proper care to best provide nicotine and run smoothly. Every vaporizer is different, but there is some general terminology that needs to be understood. Vaporizers are mostly battery-powered devices that use what is known as e-liquid. The e-liquid, or “juice” as it’s far more commonly called, is a fluid that contains flavorings and nicotine. 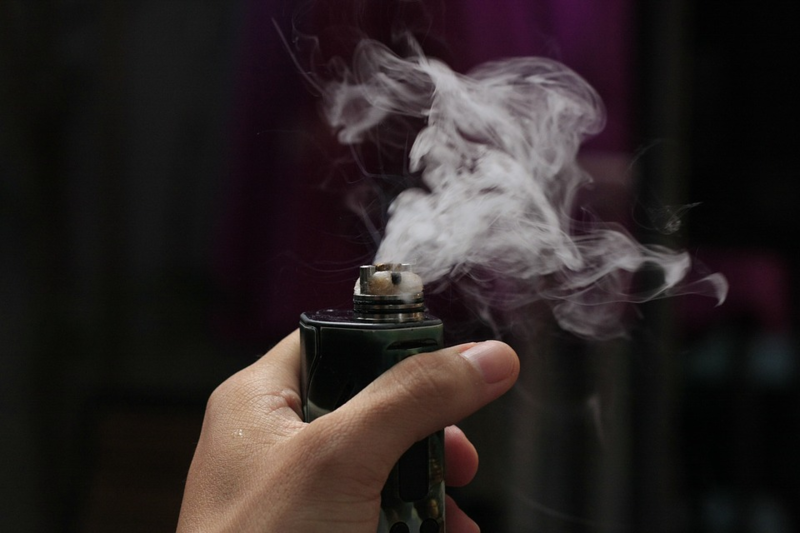 Juices are then pulled up from the vaporizer tank into the atomizer, which is a small device that turns the liquid juice into the gaseous vapor. There are several variants of the above setup, but generally, most vaporizers operate as such. There are many modifications to be made, and several hobbyists will build their own “mods” to deliver a certain amount of nicotine, or simply for aesthetic purposes. When making the switch to a vaporizer, you’ll need to be familiar with the various terms and overall function of the device to help you make a proper choice. Take some time to familiarize yourself with juices as well. Much like how cigarettes have different blends of tobacco, different juices will make or break your vape experience. On the subject of vape juice, don’t be lured into thinking that there is little difference between juices. Vape juice can range wildly in nicotine content, flavor, smoothness, and is perhaps the element of vaping that you’ll have the most control over. If you’re going to make the switch over from cigarettes, you may need to start with the highest nicotine level possible. Nicotine levels in juices are presented in milligrams and represent how much of the actual juice is pure nicotine. It’s commonly recommended that those switching to vaporizers for the nicotine should start either at 18 milligrams or the next step up at 24mg. While certain manufacturers will go a fair bit higher than that, it’s best to stick with the recommended entry point and shift up and down from there. Purchasing different flavors can also be difficult, so be sure to read a few reviews and think about what scent you’d like to go with. While tobacco flavored vape juice is certainly available, much of the joy of vaping comes from the different options and flavors available to you! Experiment around with different brands and flavors to settle one something that works best for you. The way you inhale a vaporizer is quite different then puffing on a cigarette. In some cases, puffing on a vaporizer is referred to as a “hit,” so don’t be intimidated by the terminology. Puffing on a cigarette is usually a mouth-to-lung process, and while vaporizers can be used in that fashion, it’s usually a slower, deeper experience. Taking a hit on a vaporizer is very much meant to be slower in fashion. Due to the cooling needs of the atomizer, taking too many hits in too short a time span will cause the device to overheat. Similarly, inhaling directly into the lungs too quickly on a high nicotine setting is what often causes coughing fits. If you’re struggling with coughing when using a vaporizer, try inhaling more into the mouth than the longs, or lowering the amount of nicotine. Unlike cigarettes, vaporizers are not disposable after a single use and will need periodic cleaning and maintenance. Almost all of the parts that come into contact with the juice need to be swapped out and cleaned every few weeks, and thoroughly rinsed every time you change flavors. This maintenance is usually not very difficult, and shouldn’t take too long. Simply remove the tank, atomizer (also known as a coil) and drip tip, and clean with water. This should work for a while, but long-term maintenance will also require a few replacement parts. The atomizer in particular is a part that will need periodic replacement. This piece will usually burn over time, resulting in a weaker and less appealing flavor. Luckily, this coil can be easily replaced at any smoke shop or online store. Be sure to shop around for the best deals for vapes online and replace your coil if the taste turns bad even after thoroughly cleaning your device. Most smokers know where to smoke cigarettes, but the places where smoking is allowing and where e-cigarettes are permitted are not always the same. In general—vaporizers will be allowed everywhere cigarettes are, and a few places where they aren’t. Ever since vaporizers became popular, many places have started to crack down on vaporizers, so look for specific signs to make sure you’re in the clear. While vaporizers are far less odorous than cigarettes, the juice flavor will permeate the air and the white vapor released is often larger than the smoke a cigarette produces. Be mindful of others and make sure the place you’re vaping isn’t harming others. Finally, there are small concessions that will need to be made with vaporizers while traveling. For instance, vaporizers are only permitted in carry-on luggage with airlines—not in checked bags. Small rules like these will pop up from time to time, and keeping an eye out for signs of a shifted rule will aid you as you make the switch. While some things will take some time to learn, it’s undeniable that using a vaporizer is better than continuing with cigarettes. We hope that you take the time to do your research and make a confident, permanent switch soon.